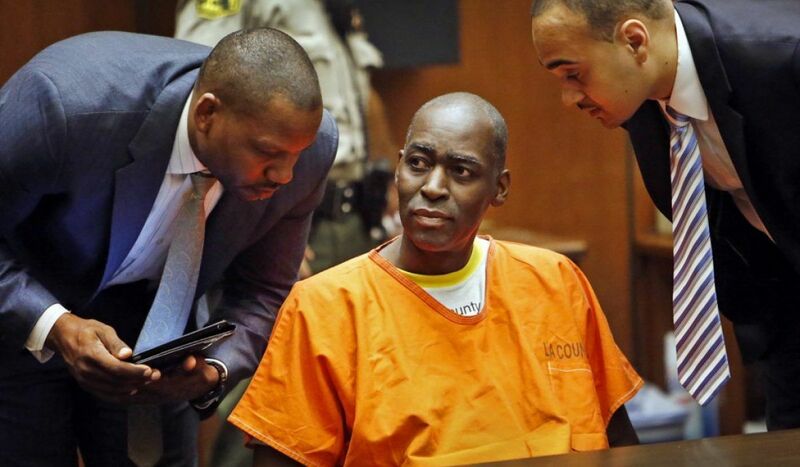 It might not have gotten the same amount of press as the San Bernardino case, but authorities also hacked into the iPhone of Michael Jace’s wife with the help of an outside party. According to the court documents obtained by LA Times, the Los Angeles Police District has been trying to get into April Jace’s iPhone 5s since 2015. Michael Jace (Julien Lowe​ from The Shield) is accused of killing April, and investigators believe they argued via text before she was murdered. April’s phone had a passcode lock, and as you probably know by now, a set number of incorrect attempts will wipe an iPhone clean. An LA judge apparently ordered an Apple technician to help cops figure out a way to crack the device open sometime in 2015. That didn’t seem to work, and for quite some time, the phone wouldn’t even switch on. Authorities aren’t going after Apple again for this case, though, because they found someone else who could hack into the device, just like the San Bernardino investigators did. LA Times says the LAPD found a “forensic cellphone expert” on March 18th who managed to override the lock screen. The court documents didn’t mention whether the expert also exploited a flaw in the phone and its unidentified platform. If he did and authorities also paid for his services, they might keep that particular flaw a secret from Apple, as well. Let’s just hope it’s a vulnerability the tech titan already fixed.